Root was secretary of war under William McKinley and Theodore Roosevelt from 1899 to 1903, responsible for creating governments for the territory ceded by Spain to the U.S. as a result of the Spanish-American War (1898) and for reorganizing and reforming the U.S. Army. As Roosevelt’s secretary of state from 1905 to 1909, he concluded agreements by which Japan pledged to respect the Open Door Policy in China, and he negotiated arbitration treaties with more than 20 nations. 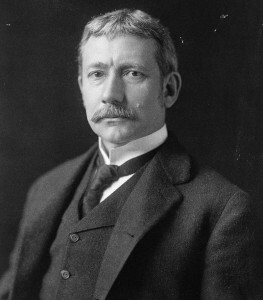 For his contributions to peace and “general world harmony,” Root was awarded the Nobel Prize for Peace in 1912.